Join us for our annual Spring Retreat at St. Gall Catholic Church in Gardnerville. Knights of Columbus go to the Gospel Mission to serve the homeless. Fr. 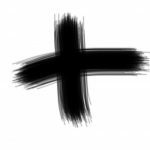 Nathan will be holding Ash Wednesday mass at Our Mother of Sorrows at 11 AM. Knights of Columbus host a game night at the Newman Center. Join us in the church to recite the Rosary followed by fellowship in the hall. The Knights of Columbus are sponsoring a pancake breakfast in the Parish Hall at 10:30am.